GSM, 3G and 4G operators are faced with exciting challenges – including extending networks to provide adequate connectivity in dense regions with a rapidly expanding user base. In rural areas the cells which comprise the network are relatively sparse – and frequently connected using microwave links. However, in urban areas the high density of GSM subscribers and radio propagation issues mean that “Microcells” are created – often to cover a small locality, building or an RF ‘blind spot’, connecting GSM Base Station Transceivers (BST) and Base Station Controllers (BSC), or 3G “NodeB” base stations. Traditional connectivity solutions for Microcells use Nx2Mbps links using copper wires or microwave links – but there can be drawbacks. In some areas E1/G703 copper circuits are already available – but what if the proposed link is across a river, road or railway, or in a developing country where the existing telecommunications operator has limited or unreliable infrastructure? Free Space Optics (FSO) and Millimeter Wave (MMW) links can offer 1.25Gbps capacity, MMW up to 10Gbps and Microwave solutions can offer up to 3Gbps capacity using latest-generation technology. CPRI “Front Haul” Links can be achieved using FSO and Millimeter-Wave (MMW) with CPRI options for ultra-low-latency direct connection between Base Station Infrastructure and Remote Radio Heads (RRH). 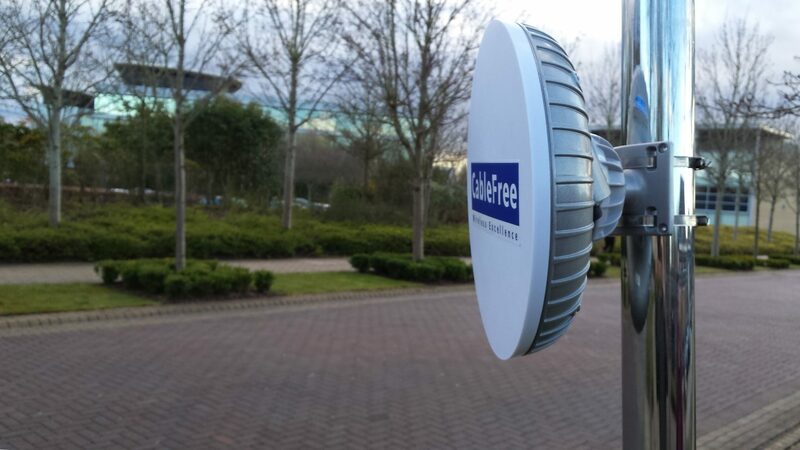 CableFree offers a complete range of solutions using high-capacity, highly reliable wireless solutions with low cost of ownership. CableFree products offer up to Gigabit capacity with NxE1 integrated multiplexers and are installed in hours, not weeks.